Nothing smells better than a chili cooking in the slow cooker on a cold winter day. And it warms my nanny kids tummies for dinner or in their thermos for school lunches. 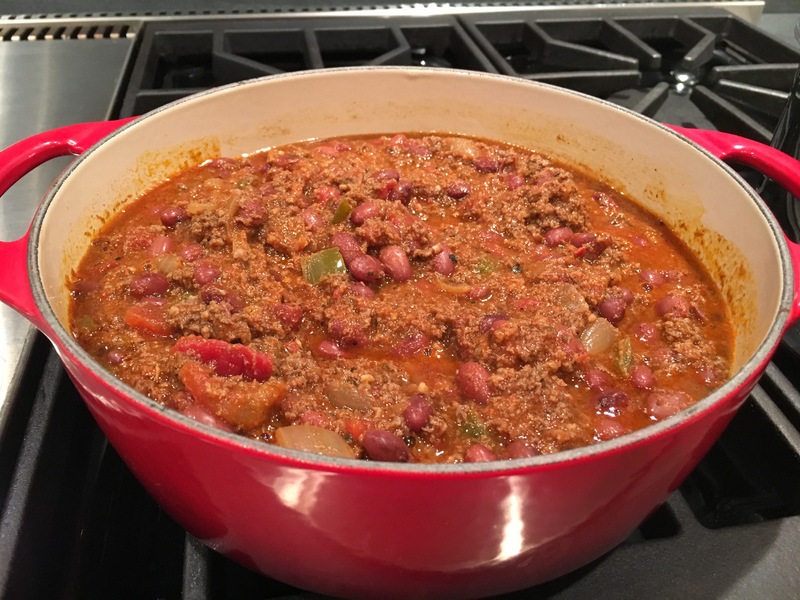 There are hundreds of different types of chili recipes, but the boys I care for love this simple red bean and ground beef chili I adjusted to their liking that I found on southern food at about.com. You can always replace the ground beef with ground turkey and add more vegetables and seasonings depending on the children’s preferences. I add shredded cheddar when serving the hot chili. 1. Brown the ground beef until browned and drain. 2. Combine ingredients in slow cooker. 3. Cover and cook on LOW for 8 to 12 hours, or for 4 to 6 hours on high.